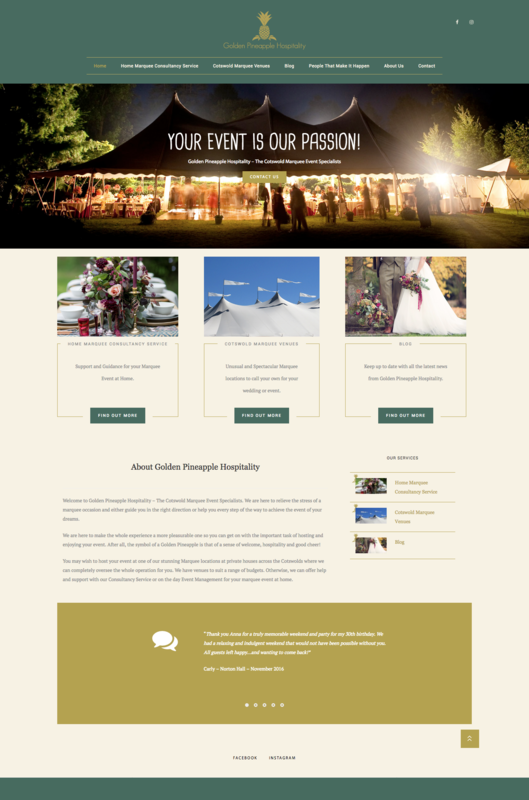 Golden Pineapple Hospitality are the specialists of Marquee events in the Cotswolds. 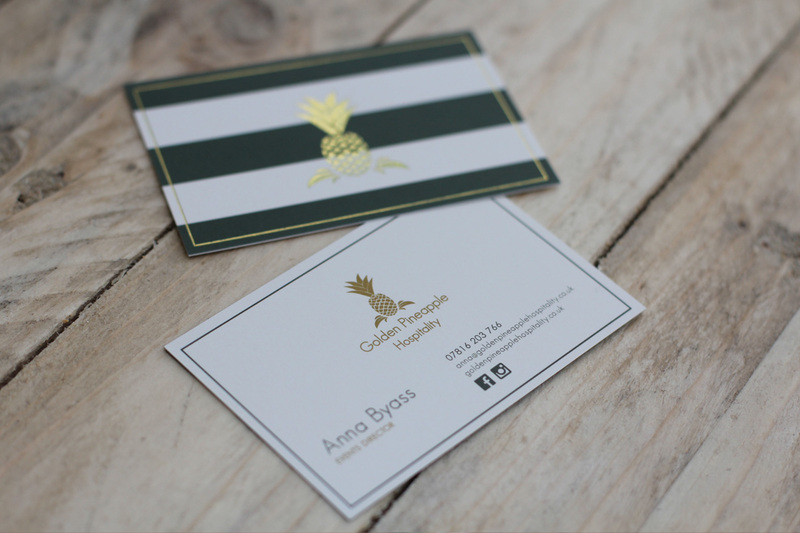 Golden Pineapple approached Manoeuvre as a start up organisation in need of a brand identity, website and business cards. We worked together to create a fun, elegant and sophisticated brand which echoes the type of events this company is renound for. I am so glad that I selected Manoeuvre Media to take on the branding of my new Events company, Golden Pineapple Hospitality and the set-up of my website. Chris helped and supported me in brainstorming to come up with a suitable name, designed the eye catching logo, produced business cards that everyone remembers and created a clear, professional website which was just what I was looking for. He continues to provide fast and efficient support when needed. I have already recommended Manoeuvre Media to a number of people and will continue to do so.